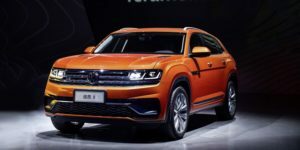 2018 Volkswagen T-Cross Breeze Will Come in North America? Volkswagen’s T-Roc baby SUV isn’t going to come in the United States after all. The carmaker reportedly plans something completely different, which will be based on the T-Cross Breeze concept. Even though we believe that the interesting T-Roc may be very attractive here, the people from VW think otherwise. 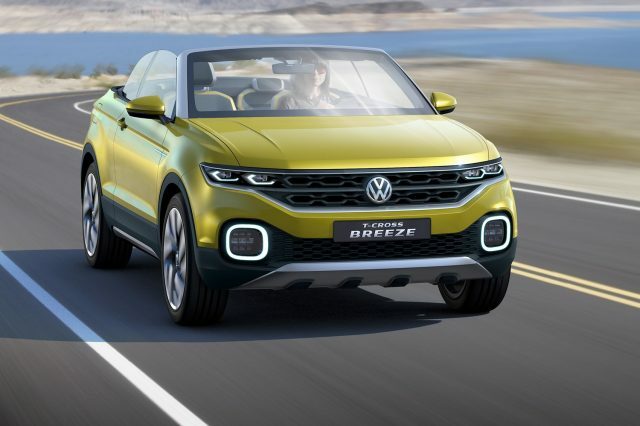 Now, we are not sure when it will arrive the 2018 Volkswagen T-Cross Breeze, yet latest rumors suggest it’s going to be ready early next year. If you take a look at the concept version, you will realize that there is not a lot job to be done before the official debut. Of course, since the concept comes as a drop-top version, the manufacturer will have to add a roof. On the other hand, every other exterior detail should stay untouched. 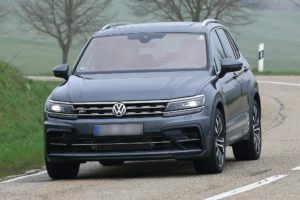 This means that US-specs pint-size crossover might have unique grille and headlights treatment, as well as a massive front bumper. Below, the concept shows skid plates, which is quite nice and useful detail in case you decide to go off the road. Plus it will be an advantage over all other rivals because we can’t think of any other subcompact crossover with skid plates. We can’t help feeling that the 2018 Volkswagen T-Cross Breeze features the identical profile lines as the bigger Tiguan, which isn’t bad at all. As for the rear end, it might look attractive, but there might be some trunk “issues”. The concept model had been introduced with a tiny 1.0-liter three-cylinder engine, and we are pretty sure it’s going to power the production version as well. Well, more precisely it might be one of the options. The mill delivers 110 horsepower and 129 lb-ft of torque through a seven-speed dual clutch automatic transmission. As for the most potent model, it should use an amazing 2.0-liter turbo with 200 horsepower and 207 lb-ft of twist.